Flight Centre is offering a promotion for $100 CAD off of any roundtrip flight from Montreal to anywhere in Asia, when using one of the following airlines. The promotion expires on Sep 16, 2016. 2. Click on the departure date box to open up the calendar view and try other dates. Look for the date combinations that are currently showing as $838 or $843 CAD roundtrip including taxes. 3. Go to the Flight Centre website and try searching for the same destination and dates that you found on Google Flights. The price should show up as $837 or $848 CAD roundtrip on Flight Centre. 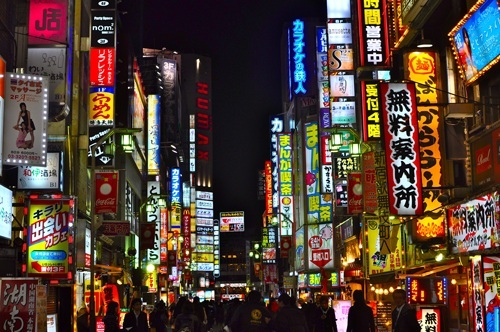 Montreal to Tokyo or Osaka-Kyoto, Japan - $671 CAD roundtrip including taxes | new record! 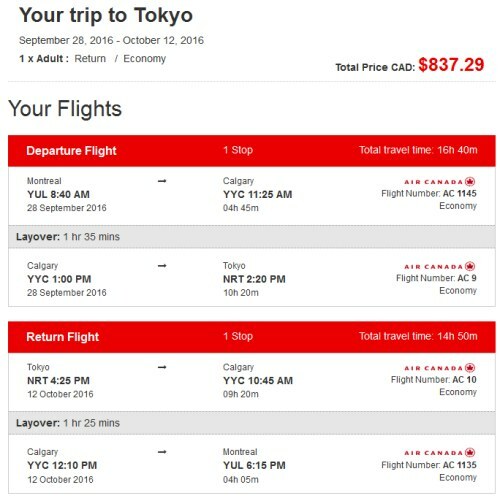 montreal, yul, flight deals, air canada, tokyo, japan, nrt, asia, east asia, osaka, kyoto and kix.